Following the Ordain Women event on October 5, 2013, John Dehlin interviewed—in his Mormon Stories podcast—Ordain Women leaders and participants (Episode 442) and then feminists with alternative approaches (Episodes 443-444). A lively discussion followed in the comments on the webpage. First, each of the MFs has done wonderful work in the cause of big-tent Mormonism. Fiona Givens’ book, The God Who Weeps, singlehandedly revived my testimony of the gospel. She and her husband Terryl are creating a much greater space in the church for Mormons who do not fit the traditional mold. Margaret Blair Young has dedicated her professional and personal life to understanding the lives and experiences of black Saints. Neylan McBaine has articulated the dissatisfaction many Mormon women feel in the church and has suggested wonderful, concrete ways of addressing that within the current doctrinal framework. Maxine Hanks, I need hardly say, brought together the classic book Women and Authority that identifies trends playing out in Mormon feminism even until now. These thoughtful fellow Saints deserve our close attention. 1. There is a serious problem with women’s place or treatment in the church that requires a change in church culture and policies. For Neylan, the church’s message of gender equality is not reflected in the medium of the church. Margaret notes the visual problem—with mostly men and mostly white people sitting on the stand at General Conference—as well as labels and stereotypes of women in church manuals. All of the MFs expressed dissatisfaction with the status quo and a desire for change to make the church a friendlier place for women. This already puts a good deal of daylight between the MFs and the General Presidents of the Relief Society, Young Women, and Primary, who seemed to indicate last April that Mormon women are generally content with receiving the blessings of the priesthood. 2. Women currently have priesthood power, though they do not have priesthood authority in the church structure. Toward the beginning of the podcast, Fiona mentioned President Packer’s distinction between priesthood authority—which is institutional—and priesthood power—which is a spiritual gift. This distinction became a theme throughout the conversation. I think most OW participants would agree, as did the MFs, that (1) Mormon women currently have priesthood power—though not priesthood authority, (2) most or many Mormon women are unaware that they have priesthood power, and (3) our rhetoric needs to improve greatly in this regard. We’re not in Sunday-school land any more. These are huge areas of feminist agreement. I learned a great deal from Neylan when she said that Mormon women (and, I would add, men), have an underdeveloped sense of our own spiritual authority, the kind of inner purpose that comes from feeling the Spirit, receiving personal revelation, and developing a close relationship with the Savior. In a similar vein, Margaret spoke of opening up imaginatively and creatively that allows us to receive God’s power in abundance: opening our minds to the possibility that we are greater than what we had imagined, that our own gifts are beyond what we had conceived of: “and you may partake.” This really resonated with me. Of course, OW and the MFs disagree on the significance of the power/authority divide. For me, we can both open ourselves up to greater personal priesthood power AND seek equal priesthood authority in the church. In fact, for me, one can legitimately lead to the other. 3. We should look to Joseph Smith and the first Relief Society to understand women’s priesthood roles. The MFs agreed that we should seek a return to the gifts exercised by early Relief Society sisters, including performing healing ordinances and maintaining an autonomous organization. Maxine acknowledged that both OW and the MFs look to the key Joseph Smith turned to women in the Relief Society, to be a “kingdom of priests.” The MFs would like to see the Relief Society return to an equal—rather than auxiliary—status with the male priesthood quorums. Some of the MFs even regard the Relief Society as a quorum, into which women are ordained (i.e. ordered, made part of a religious order). Although I dislike “separate but equal” as much as anyone, I think it would be amazing progress were the church to acknowledge that the Relief Society is a co-equal quorum at every level, that women are ordained to it, and that they possess priesthood power that allows them to perform healing blessings and autonomously administer their organization. 4. Mormons have ceded too much of our spiritual autonomy to General Authorities. Neylan feels, as I do, that the General Authorities’ words are not prescriptive of our lives, but are rather meant to indicate priorities, with our own inner authority pointing the way for us individually. 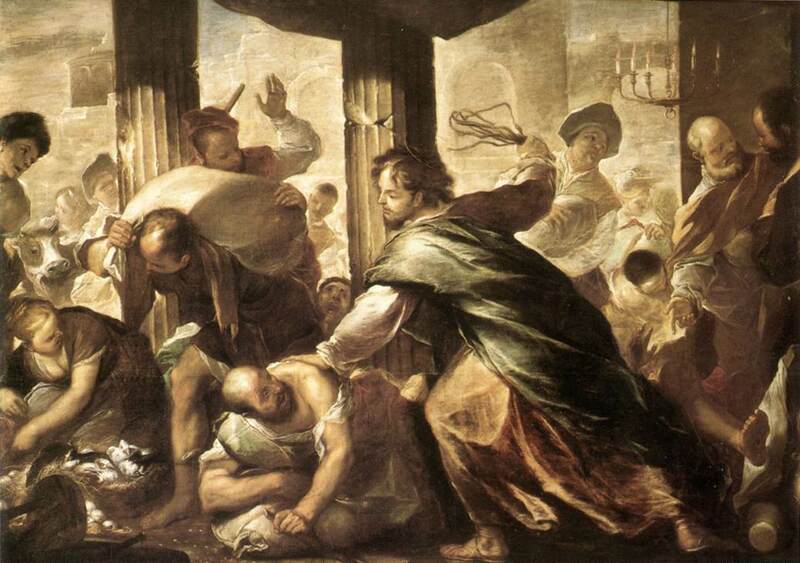 Fiona referred to God’s statement in the Doctrine & Covenants that Joseph was called to show what God could do with the weak things of the world, that General Authorities are fallible human beings. For Margaret, church leaders should not only admit that they have made mistakes in the past but should acknowledge specific mistakes. While urging patience with and empathy for leaders, Margaret and Fiona both called for a shift in focus, away from watered-down lesson manuals and General Authority talks to the scriptures themselves, as repositories of great spiritual power. 5. Ordain Women has had a positive effect in focusing and advancing the conversation of women’s place in the church. The MFs praised Ordain Women for bringing the issue of women’s place in the church to the forefront of people’s minds and for advancing the conversation significantly. They were even delighted that OW brought the word “ordain” into common parlance when talking about women in the church. 1. How to go about expressing confidence in church leadership. Despite seeing General Authorities as fallible, the MFs tend to have a great deal of confidence in them. For Fiona, OW can now stand back and wait for what the Lord has prepared, which is better than what OW has in mind. Both Margaret and Maxine believe that conversations to advance women’s position in the church are happening at the highest levels of church leadership, with historians and specialists and leaders working on this issue. I see OW as having just as much confidence in the leaders, but in a different way. OW is not at all rejecting church leaders, but is in fact asking them to pray about women’s ordination and expressing confidence that the Lord will work through them. It is entirely possible that women’s ordination is precisely what the Lord has in mind for the church. The MFs and OW simply have a good faith disagreement about the kind and degree of action required on individual Saints’ part to work for women’s equality in the church. 2. Unequal treatment of women in the church power structure as an Abrahamic sacrifice that we must endure. The MFs believe that we must suffer through the structural inequality to find a deeper truth and to develop humility. Rather than trying to change the unequal power dynamic, women should cultivate inner authority and individual self-determination to show stewardship over the blessings they have already been given and readiness for greater things. Again, I believe that cultivating inner authority and humility can lead a person to work for equality within the structure. Since sexism and misogyny are cultural constructs, one can legitimately see them not as God-given (or God-permitted) crosses to be borne but as human-created systemic problems to be changed. 3. Ordain Women’s actions are divisive, while unity is of utmost importance. The MFs emphasized the importance of unity: if ye are not one, ye are not mine. For me, unity is a big-picture affair: I believe one can disagree in good faith with the leaders and the status quo while maintaining unity in God and in the greater vision of Zion. I think OW does this. OW is clearly not out to destroy the church but to help it become a place of equality and, yes, greater unity. 4. Ordain Women is essentially a first-world movement that ignores the international scope of the church. I’m just going to say that this area produced some real howlers. Some of the MFs see the church’s male hegemony as being an attraction to the church for sexist men in the Middle East and Africa, with the result that their wives and daughters are brought into the church and can then experience priesthood power. Margaret points to the way in which the Relief Society already empowers women in Latin America to take on leadership roles and serve each other. She feels that church leaders are dealing with very important international issues, and that OW’s concerns are just one of the many balls they are juggling. The inverse of this argument, however, is that OW’s efforts at home (which for most, but not all, OW members is North America) may produce great blessings for women throughout the church. In this way, OW is uniquely placed to affect the international status of women—who are, after all, 50% of the church—for the better. I see OW not at all as parochial but as addressing a global—even a cosmic—issue. I hope to have shown in this over-long post that there are major areas of agreement between OW and the MFs, and that the areas of disagreement are good-faith differences. Although our methods vary somewhat, we are all working to make the church a healthier, friendlier place where women and men can achieve their potential as children of Heavenly Parents. I am grateful to Fiona, Margaret, Neylan, and Maxine for speaking their hearts. I learned a great deal from them, and I second Maxine’s call to greater compassion for each other. My love to one and all! Beeeooootiful! THANK YOU for this Olive Branch! You’re quite welcome, Donna. I’m glad you liked it! Thanks, Edward. When I write my on piece on this topic I am going to incorporate this by reference. You actually saved me a lot of writing because now you’ve already said much of what I was going to say and I don’t need to say it. Peace. I’m looking forward to reading your piece, Nadine! I’m about to run out the door quickly, but I’ve been reading yours among other comments about this. Their interview has really had my mind going for the last couple days. I have 2 things I’d like to mention. For the record I strongly resonate with much of what is desired with MW folk. Priesthood is one of those topics that I’ve investigate and re-investigate over and over again. As is the role of women. On your point #3 for agreements, I don’t think “seperate but equal” is what I would describe the ultimate vision described by these women. I think the word best used would be integrative…where there are two different entities that combine together as one great whole. What these women describe are different roles that combine together in equitable participation to bring forth the kingdom of God. Seperate but equal infers more of a dichotomy where the mingling between the two is limited and division is highly policed by the “more equal” group. 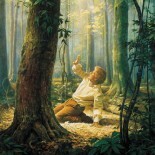 Integrative, in my mind, is more similar to the actions in the temple, where two different spheres work together in unique but interdependent roles that bring forth the greatest of all blessings. And on your #4, I actually thought of this as well, prior to listening, on a smaller scale….and it highlights one of the major problems I have with OW. There’s a lack of concrete descriptions as to how this will actually help on pragmatic terms. You mentioned a hope and a dream, but this is often vaguely described for the ideal settings (ie. in a world where men and women already get along pretty well). I tried to envision what this would have meant to my own life growing up in a more dysfunctional household where their were power struggles and imbalanced roles in the relationships. There would be some positives. I would have probably known more about the priesthood at a younger age. But the honest truth is that in a household like my own, it very likely could have caused a number of greater problems and much of what occurred in my household would have had no effect by whether my mother and I held the priesthood. To be frank, the idea makes me a little queasy just thinking about it….it simply would not have been good. I feel that what they mentioned was similar to this but on a more global scale. It works great for the more (comparatively) equitable and harmonious settings….it falls flat and may have negative consequences in the more divisive, disenfranchised, and hierarchical ones. I’ve listened to that part twice so far, and I think the emphasis wasn’t meant to be on the attraction in hegemonic societies for men….but that as a more gentle and integrative approach in empowering both men and women and altering how their role and work is perceived. Where in households men rule and dominate the capacity for women to be baptized into a faith in the OW fashion would probably not appeal to their husbands. This would mean they a) couldn’t be baptized b) create greater tensions and possibly violence as the power dynamics in the relationship alter c) become more disadvantaged by marriages that are broken from this, losing the necessary support of their husbands. This bevies the capacity for the OW vision of priesthood to have that positive effect. Alright I’ve got to run. But these are some of many initial thoughts. Thanks for your thoughtful post. Thank you…it would be fair to note that of the distant places they mentioned, half are from europe or 1st world countries and Africa is (sadly) lumped in like it was a country (that’s a pet peeve of mine, having a nigerian dad and minoring in Int’l Development). Plus, it’s not just about the place they reside, but their SES within that country, their access to necessary resources to participate (time, money, readily available internet, proficiency in english, etc), the voice given within the movement for decision making, etc. Plus, they don’t mention that “elsewhere” may include other places in the U.S. that are not UT or ID. This could be just poor wording on their part, but it makes it sound at first glance that 34% could either be international or 34% could just be from just outside of UT/ID, like the other 48 states. Basically, to me, that’s just not saying much. Especially considering it’s a church where most of the women live outside of UT/ID, around half are international, plenty come from lower SES status households, and a good number are minorities within their countries. This isn’t very representative of the larger body of women. There’s a discrepancy between the wants, ideas, and needs of roughly 160 women of still fairly homogeneous background compared to a church made of millions from diverse corners of the world. I am not sure where I “belong,” since I don’t find myself fitting entirely into either of the two camps described here. I think that women can, and should be ordained, but that it should be to the priestesshood that is held by our Heavenly Mother. I think that ordination and institutional equality may be related to each other, but I think we make a mistake when we try to wed them too closely together. For me, I think that institutional authority, and a change in the administration of RS, with YW organized under RS, and with YW classes treated as quorums, with VT happening with senior RS companions, and junior YW companions, as something that could be done on an administrative level. RS sisters could even be allowed to give blessings, without specific ordination. There was no revelation that removed the practice, other than a top down, “Please stop. We will take over from here on out.” Making RS financially independent and in control of their own callings would be more complicated now, especially in some parts of the world, but it is not impossible to think that a strong RS General President, who had the calling for 20+ years, and could choose from the most talented women across the globe to test out and figure how best to wed the needs and abilities of sisters around the globe, to make sure that poorer countries have the same access to the material needs of the families that a branch, ward or stake RS presides over. The General Bishopric can take care of tithing, but I think bringing most welfare functions under the joint responsibility of the bishop and RS president, with the RS president responsible for implementation, and requesting resources from other RS sisters, whether they are in another stake or another country, seems like a much simpler, and more equal distribution of both the talents, time and resources of the church and the donations of members. I could go on for quite a while with several visions for the leadership of the church, but when I pray about ordination, and the spiritual gifts that women do not have now, I never come to a conclusion that ordination to the priesthood, as it is now constituted, is what our Heavenly Parents want for us. I think that we first have to seek after our Heavenly Mother, get to know her on a most personal level, and then be able to directly ask Her for revelation, that will help us become more like Her, and to be able to act in Her name. All of that doesn’t mean I don’t support the things Ordain Women are doing, because I do. I just hope that OW doesn’t become a way to try and divide and conquer Mormon feminism. I don’t think that it is splitting it, but I don’t want to ignore the risk, that in critiquing each other, we can strengthen or weaken each other. I sincerely hope that we have “Edwards” who keep reminding us how similar we are! This entry was posted on October 25, 2013 by EdwardJ.